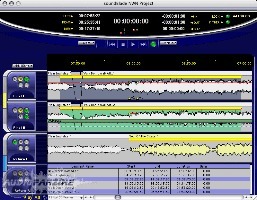 SoundBlade, General Sequencer from Sonic Studio. Sonic Studio has updated soundBlade to v1.3.1. Fixes for DDP Open using CD-Text. New Track view sizes for Multi-channel mode. Improvements to PQ Log to include Track and Artist. Ohm Force Updates All Plug-Ins Ohm Force has released updates for all of its plug-ins. Synful Orchestra Updated to v2.51 Synful has announced the release of version 2.5.1 of Synful Orchestra, which features the new French Horns first seen in the 2.5 beta released a few weeks ago. Brainworx Releases bx_dynEQ Brainworx announced bx_dynEQ, a new set of M/S dynamic EQs and M/S compressors.